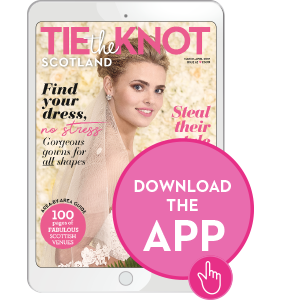 Here at Tie the Knot Scotland, we believe the groom’s get-up is just as important as the wedding dress, whether you’re going for a sharp suit or a classic kilt. But is it necessary to commit to that particular choice of formalwear for the rest of your life? 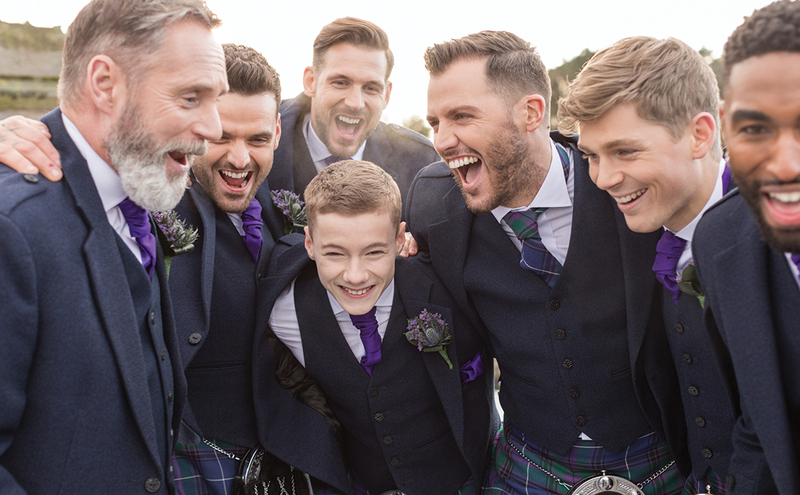 After all, purchasing a kilt is a big investment, as is splashing out on a dapper suit that makes you feel like 007, so you really will have to pull it out of the wardrobe for every formal event you go to for many years ahead. 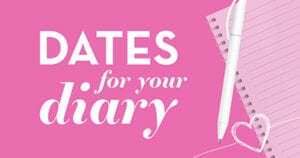 If that thought doesn’t appeal, or your budget doesn’t stretch to going bespoke, you’ll be glad to hear there are plenty of options for hiring a wedding outfit to make you look your best. From where to start to what it all costs, we have all your questions covered. Hiring might seem like a less time-sensitive option than buying, but that doesn’t mean you can leave it until the last minute. 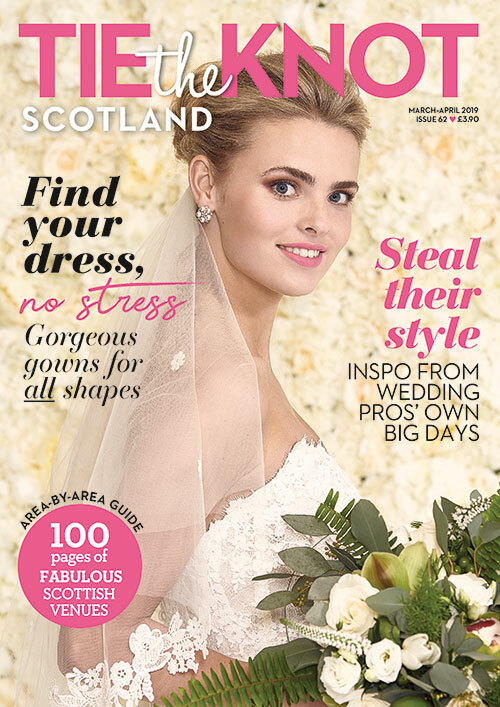 “We’d normally advise wedding parties to book their hires around six months in advance so that they can get the best choice of sizes and styles,” says McCalls’ general manager, Carol Howie. 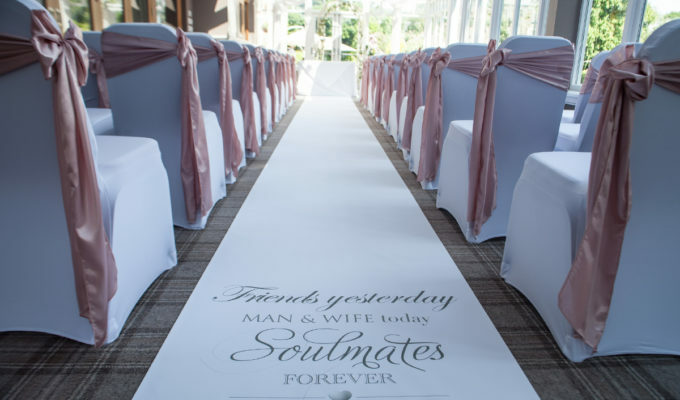 If you have a particular colour scheme in mind, whether a specific tartan or something to match the bridesmaids’ dresses, give yourself plenty of time so you are spoiled for choice. Don’t panic if you’re running a little off schedule – McCalls has you covered: “We have a vast stock holding so it’s very seldom that we can’t accommodate a client’s wishes even if they come in the week of the function!” says Carol. 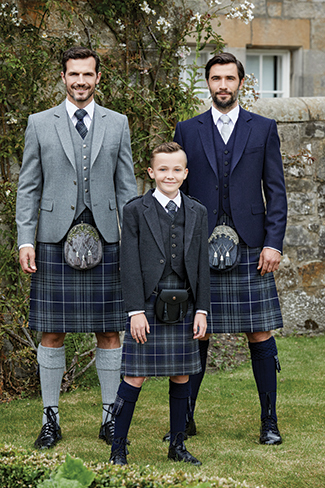 The firm’s hire range includes 18 clan and popular modern tartans, plus 14 Pride of Scotland tartans. Over at MacGregor and MacDuff, there are 15 hire tartans. “There’s also our own exclusive Mist range,” says Sarah. So, how long does the hire period last? Must it be handed back immediately? It generally depends on who you hire from. Most retailers will accommodate special requests and timeframes, but more often than not you will have your outfit for three to five days. 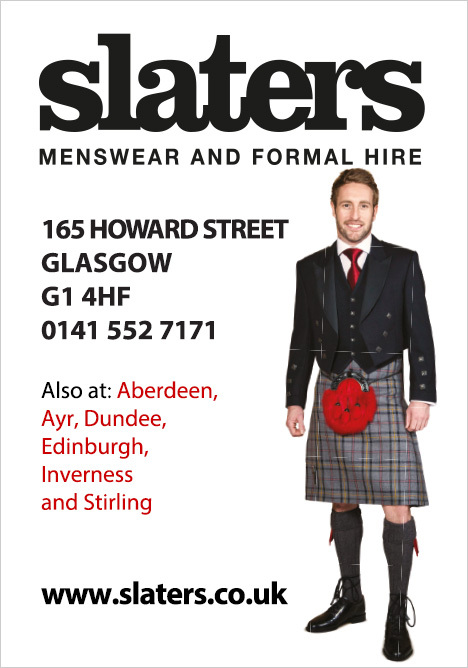 “When the customer orders in store, our formal-hire representative will ask them how long they require the hire for and advise them of the cost accordingly,” says Stuart Graham of Slaters. 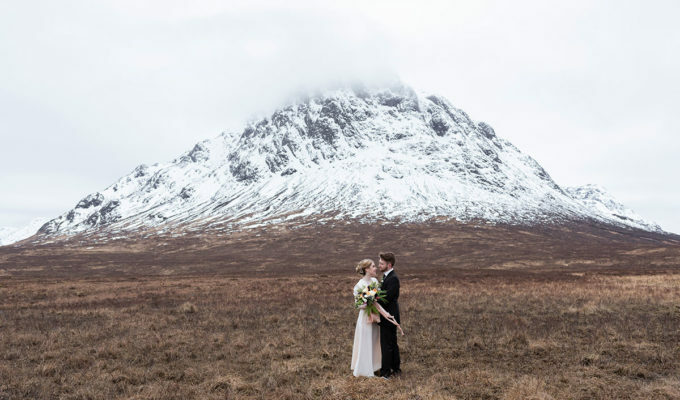 “Otherwise, the garments need to be returned to us by 9am on the second day after the event.” In other words, if you and your wedding party are celebrating into the wee small hours, you are not expected to be up at dawn to drop your kilt off in time. That really would be no fun. In order for you to look the part, it’s important that the kilt sits in the right position. 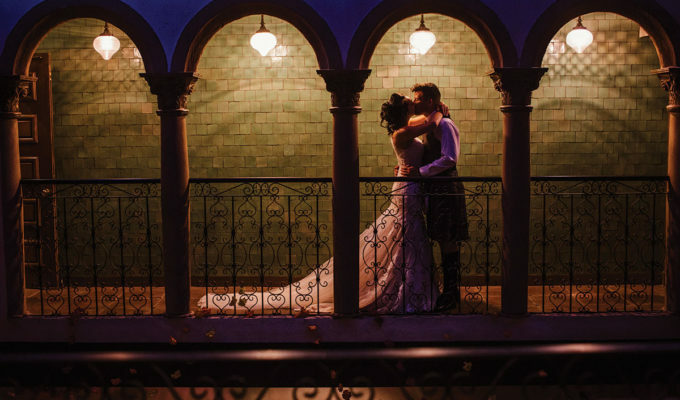 “A kilt should sit just over the top of the kneecap. That means its length is measured from the hip bone to just overlapping the top of the knee,” explains MacGregor and MacDuff’s Sarah. 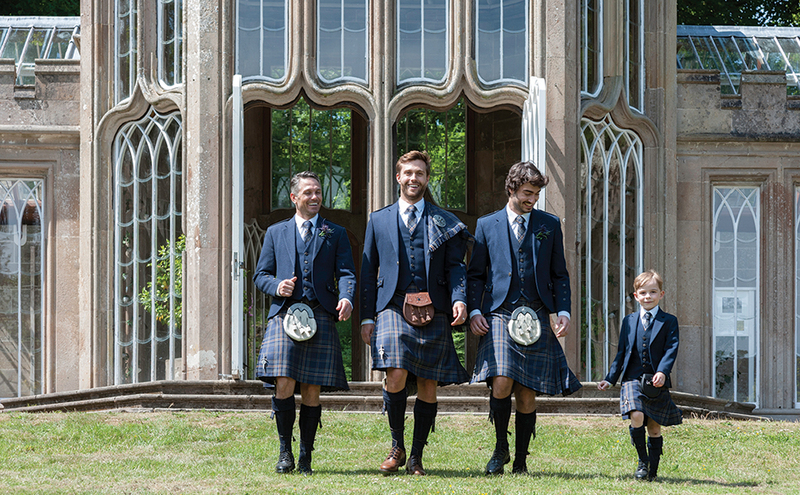 If you and your groomsmen are hiring kilts as a group, but not everyone is living in the same city or even the same country, it can be nigh on impossible to get everyone to the store in person. If that sounds like your gang, you’ll be relieved to hear that most suppliers are happy to take self-measurements, and will provide pointers on how to make this process as accurate as possible. One of the biggest advantages to hiring rather than buying is the money you save. “If you are not in the habit of wearing a kilt, the expense of purchasing an outfit is probably not justified,” agrees McCalls’ Carol. Hire outfits can start from as little as £50, going all the way up to £120. (It’s the choice of tartan and the jacket style that usually dictates the price bracket.) 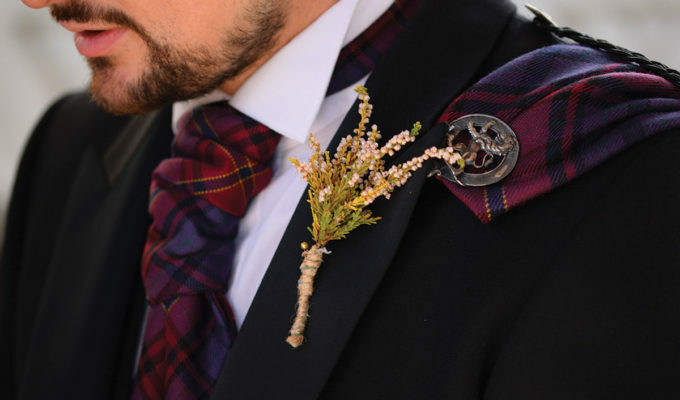 This cost generally includes everything: the kilt, the jacket, the sporran, sgian dubh, shoes, neckwear and flashes. What it will not usually include, however, is your shirt or kilt hose. These you will need to purchase yourself – after all, who wants to wear someone else’s old socks? Most retailers offer their hire customers a discounted rate for these items, so you will still be making a saving. If, as the groom, you want to separate yourself from your groomsmen, there are plenty of ways to do this. 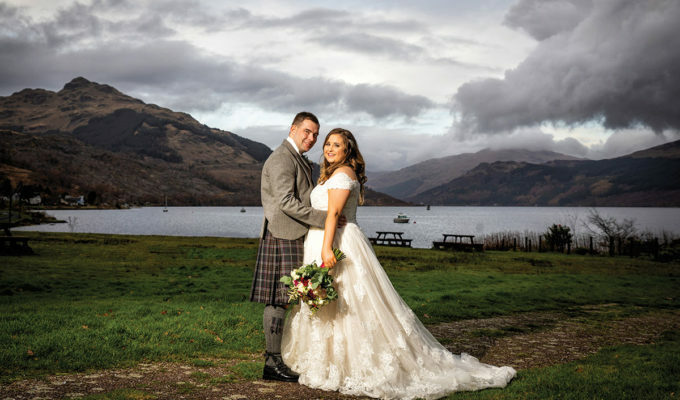 “We provide lots of upgrade options so you can customise your kilt hire outfit and stand out from the crowd,” confirms Sarah at MacGregor and MacDuff. This can mean a more luxurious sporran, a fly plaid or a different jacket or perhaps a combination of all three. More groomsmen than you know what to do with? No problem! If you couldn’t decide between your brothers and your best mates and ended up roping everyone in, you might be panicking about the costs mounting up. But there are actually quite a lot of money-saving offers out there for larger groups. At both Slaters and MacGregor and MacDuff, if you hire five outfits, the cost of the most expensive outfit is free – yes, you read that right, the most expensive. McCalls, meanwhile, has its ‘groom goes free’ deal, where hiring five outfits gets the sixth one completely free of charge. It can happen to the best of us; no matter how careful you are, there’s always that one friend who manages to spill his beer down your back as he slurs his congratulations. So what happens when you take your no longer immaculate outfit back to the shop? “We offer accidental damage cover for our hires at £6 per outfit, which covers up to £250 of damage. If any items are lost, we would simply charge depending on the cost price of the item,” says Sarah. This tends to be the norm, with both Slaters and McCalls offering similar cover – better safe than sorry!